KGI’s Ming-Chi Kuo – an analyst with an excellent track-record on AAPL – has forecast that year-on-year iPhone shipments will continue to fall this year, and end up well below market expectations. In an investment note seen by 9to5Mac, KGI says that total 2016 iPhone shipments will likely fall below 200M units, and that the iPhone 7 will see lower sales than the iPhone 6s/Plus. The note argues that the iPhone 7 appears likely to adopt a broadly similar form factor to the 6s/Plus, with the only notable upgrade leaked to date being the dual camera expected to be found in the iPhone 7 Plus, limiting its potential appeal. With the feature found only on the larger model, and many competitor smartphones also expected to feature dual cameras – some of them already on the market – consumers could be underwhelmed by the iPhone 7. We’re still a fair way out at this stage, meaning that Apple could well have surprises in store, but KGI does have excellent supply-chain contacts that have so far revealed no sign of additional new features. 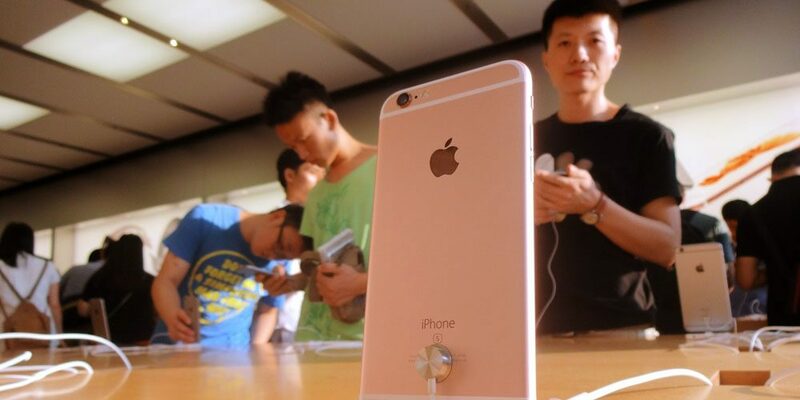 Finally, KGI is also skeptical about a CNBC report that the iPhone SE saw 3.4M retailer pre-orders in China, stating that it was unable to find any evidence to substantiate the number. The Wall Street consensus is for total iPhone sales of 210-230M, while Kuo believes it will fall within the 190-210M range, with the number likely to fall on the wrong side of 200M. Apple saw record sales from both the iPhone 6/Plus and the iPhone 6s/Plus as it tapped pent-up demand for larger-screen phones, but there is concern now that this demand has been satisfied, the company may struggle to achieve future growth. I argued earlier this year that ‘peak iPhone’ was likely to be a temporary phenomenon, but that the company might have to think the unthinkable on price – something it subsequently did with the launch of the iPhone SE. If KGI is right, that may not be enough.